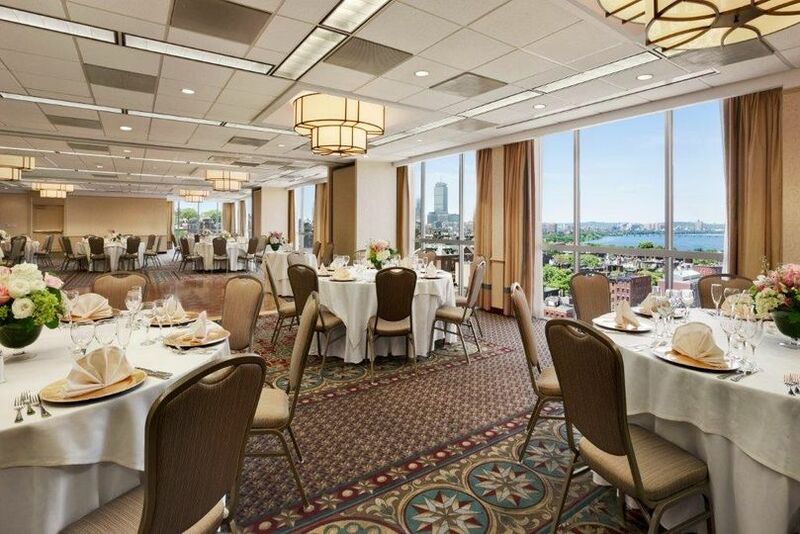 Wyndham Boston Beacon Hill is an amazing wedding venue located in Boston, Massachusetts. 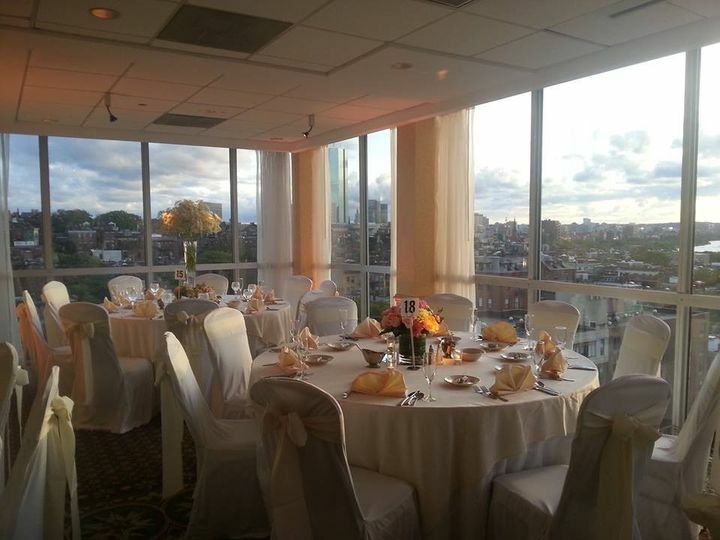 This venue overlooks the Charles River, providing a picturesque sunset. 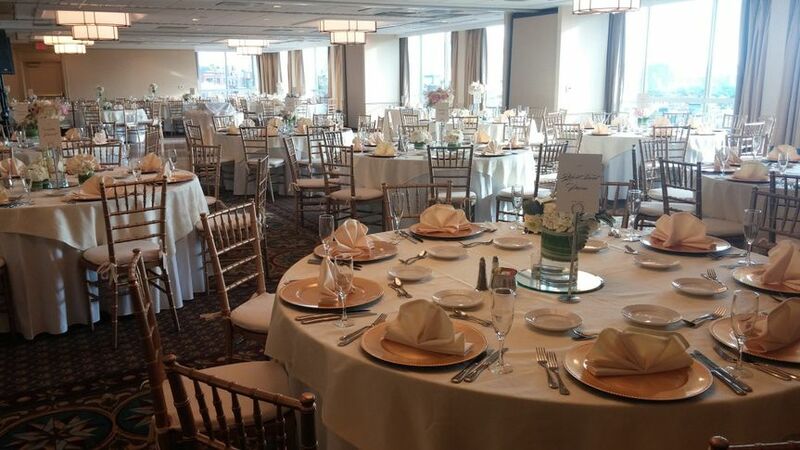 Wyndham Boston Beacon Hill offers its professional staff, great cuisine and amazing space for a memorable wedding day. 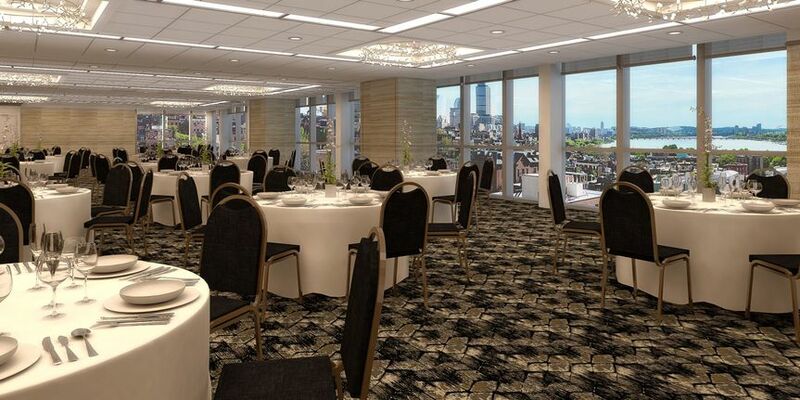 Wyndham Boston Beacon Hill can accommodate 200 guests for a sit down dinner. 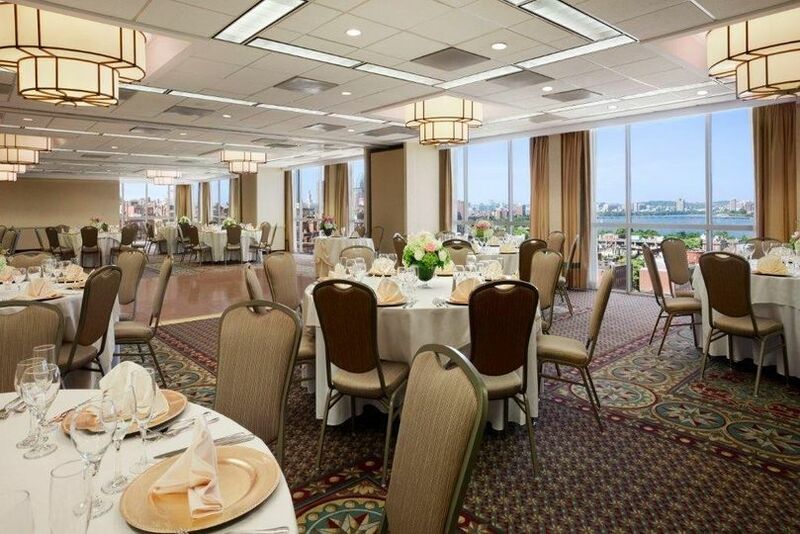 Not only is the ballroom beautiful with plenty of space, but it offers waterfront Charles River views and the city skyline through floor to ceiling windows. The entire fifteenth floor is dedicated to the wedding. A bridal suite is also included. 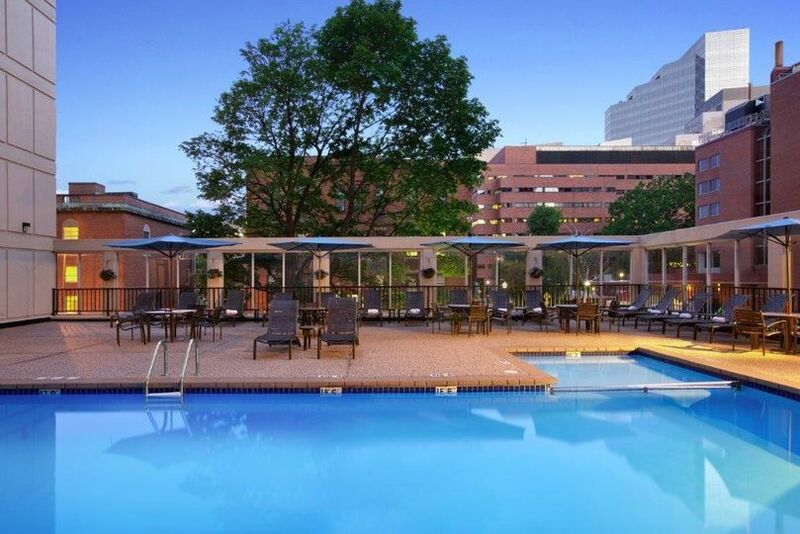 Wyndham Boston Beacon Hill is located in Boston, Massachusetts on Blossom Street. The Wyndham Beacon Hill is the hidden gem of Boston wedding venues. The location and view it offers are unparalleled for the price. My wife and I wanted to have a downtown, wedding and Wyndham fit our needs perfectly while being within our budget. Our guests were thoroughly impressed. Again, the views from the 15th floor were simply outstanding. They have to be seen to be believed. The floorplan also allowed us to create different spaces from the reception ballroom to side rooms where we able to create a lounge-type atmosphere. We were thrilled with our coordinator Paul and his staff. We found him very easy to work with. He brought a relaxed attitude to the entire process that helped put us at ease. It was easy to tell how experienced he is. He was also open to changes and responsive to questions when we had them. He also did a good job of keeping us on on task the day of. I can’t emphasize how important it is to have someone you enjoy working with throughout the process of wedding planning but most especially on the wedding day. My wife and I put in a lot of time organizing and planning but once the day comes your mind is in a million different places. We were grateful to have Paul and his guiding hand there. The Wyndham’s banquet and events staff were also excellent. The bartenders and wait staff were very attentive to us and our guests. They took time to remember our drink orders and made sure we were well-looked after. The service was prompt and professional. 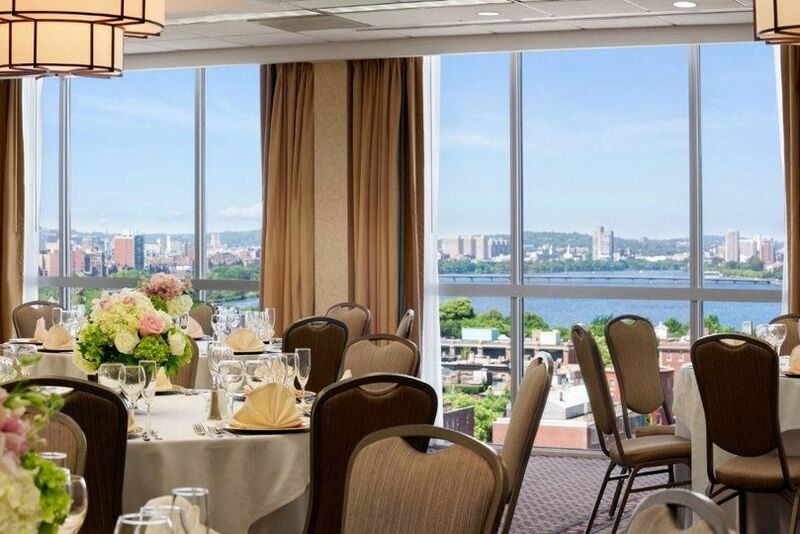 We looked at over 20 venues in the Boston when were were getting married and we’re so happy we chose the Wyndham. 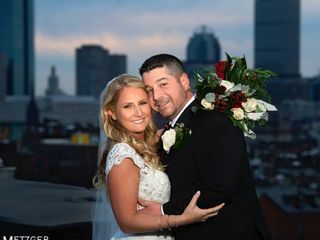 Our wedding was at the Wyndham Boston Beacon Hill on December 15th, and we were thrilled with our experience! From the time we first toured the venue with Paul Saltalamacchia, the wedding coordinator, we knew it was the perfect fit. Over the year of our engagement, Paul spent hours with us on the phone, via e-mail, and with various visits (tour, tasting, rehearsal, final meetings) and always took the time to answer our questions and get to know us and all of the things we wanted. By the time December 15th rolled around, he felt like family. Paul really made the night perfect, and knows exactly what he's doing when it comes to weddings. 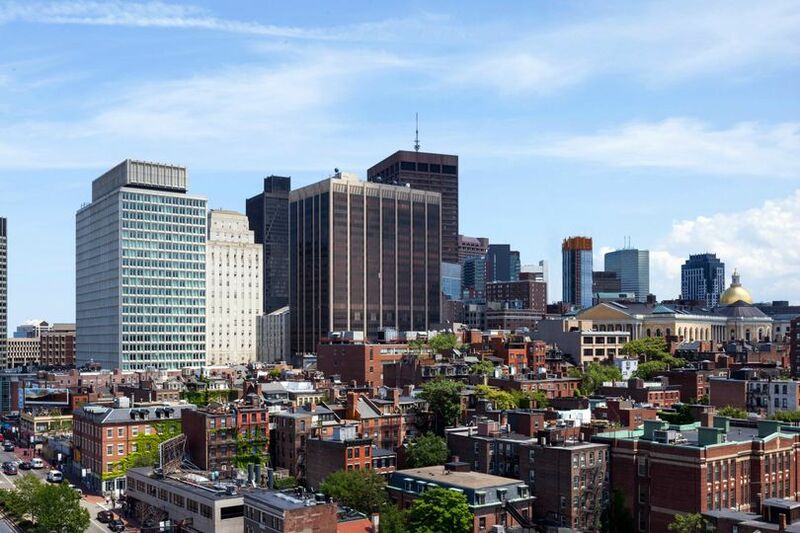 The view and location at this venue can not be beat (Beacon Hill and rooftop skyline photos! ), especially at the price point, which is MUCH more reasonable than many of the other Boston venues we were initially interested in. Also, the whole hotel has recently been remodeled and looks gorgeous! The food was amazing and the hotel employees were all very accommodating of us and our guests! I highly recommend! What can I say? Your wedding was so incredible. What a stunning bride and bridal party! I will miss our meetings, texts, chats and get-togethers, making your wedding exactly the way you wanted it. Best Wishes for many years to come!!! We had our wedding at the Wyndham Hotel Beacon Hill on December 1, 2018. This was the first AND LAST venue I looked at before we booked. The reason I didn't look further was because of Paul, the wedding coordinator. Being your atypical bride, (I didn't have a childhood dream of being a bride so I had nothing "in mind") I was nervous that I would be judged and eventually persuaded into doing things I didn't truly want. Paul was awesome. I felt like we had known each other for years after only a few minutes of chatting. He was patient, non-judgmental and most importantly he listened to my ideas even if he might have thought I was crazy...he just let me be me, and didn't flinch when I told him "no cake, no first dance, no sweetheart table"... he was the best. We booked in February and the experience throughout was seamless and easy. Our wedding day was hands down the best day of our lives to date. 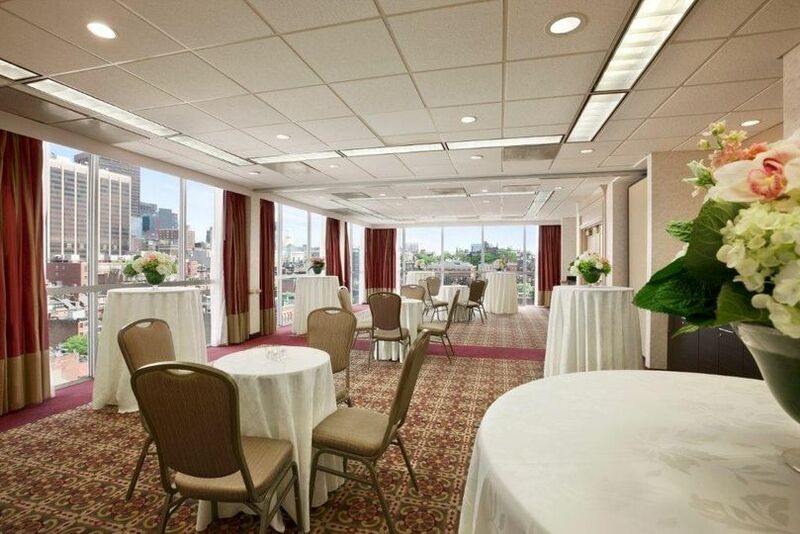 The ballroom is on the 15th floor of the hotel and the views are spectacular! Floor to ceiling windows made it feel like we were right in the midst of the beautiful Beacon Hill lights. An added bonus being it was Christmas time and several of the buildings in the distance had sparkling holiday lights to add to the beauty of the view. The hotel itself also was decorated for Christmas, which worked well for us seeing that we both love Christmas decorations! Paul lent us his homemade altar to use for our ceremony, which really put a fancy touch on our very simple ceremony. He was so patient and kind to my niece and nephew, a 9 year old flower girl and a 7 year old ring bearer. He was right there for everything...helping the vendors, guiding guests, straightening bow ties, making sure the music was right and ensuring the ceremony went off without a hitch! Paul did an amazing job bringing our "vision" to life.The ballroom was set up exactly how we discussed. Centerpieces were perfect, lighting was just right and the our guests were comfortable from start to finish. As a wedding venue we couldn't fault anything. The food was out of this world and all our guests commented on how delicious everything tasted. From the passed crab cakes and sesame chicken skewers during cocktail hour, to the amazing Filet Mignon, everything was perfect. We danced the night away, with the Boston skyline behind us. We are still getting phone calls and notes from guests saying it was "the best wedding they had ever been to!" It truly was a perfect evening, thanks to Paul and the rest of the staff at the Wyndham. We couldn't have asked for a better venue, and feel so blessed to have had Paul running the show! It WAS the best day ever! What an incredible wedding. Thank you so much for your kind words. I'm humbled beyond words!